There’s a certain intensity to low budget productions that often heightens their impact. At the Slamdance Film Festival, where singular vision overwhelms the importance of name talent and studio appeal, a number of sturdy entries achieve their cogent artistic intentions with focused minimalism. This is especially true for the documentaries and thrillers, two genres of filmmaking that work best with a heavy component of realism. The particular smallness of these movies fits their varying content. Before all else, there’s “Dear Zachary,” documentarian Kurt Kuenne‘s shockingly intimate account of his road trip a few years ago, after his childhood friend, Andrew Bagby was shot under mysterious circumstances in 2001. Kuenne initially sets out to create a collage of testaments to Bagby’s virtues so that his newborn son has a record of his lineage. A late act twist, however, upsets the innocence of Kuenne’s intentions, darkening the tone and transforming the film from a cinematic scrapbook into an effective activist plea. It would ruin the impact of “Dear Zachary” to detail the specifics of its sudden developments, so let’s just leave it at this: Bagby was undoubtedly murdered by his unstable older girlfriend, but the court blatantly ignored the evidence against her, allowing a killer to walk the streets. The result of that decision will haunt viewers and cause them to consider ways to prevent it from happening again. Although Kuenne’s editing and cinematography has an amateurish feel, he remains coherently focused on his subject, intertwining the drama with his message. Excuse the hyperbole, but “Dear Zachary” is one of the most alarmingly forceful documentaries in years. 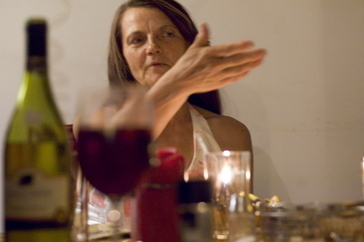 A scene from Cynthia Lester’s “Mother’s Garden.” Photo courtesy of the Slamdance Film Festival. Kuenne’s issue-driven work has company at the festival. “My Mother’s Garden,” the deeply personal creation of director Cynthia Lester–whose mother, Eugenia, suffers from compulsive hoarding. Throughout her home, Eugenia, a Polish immigrant, scatters tidbits of items rescued from the trash and elsewhere. Captured on camera, she seems at once aware of her odd obsession and fearfully intent on rationalizing it. Cynthia Lester uses the camera as a means of family therapy, incorporating her own evaluations of the situation along with those of her brother and others. While a documentary tends to suffer when the filmmaker becomes a part of the story, the Lesters’ ability to cope with the ramifications of hoarding suggests hope for other people afflicted with the disease. 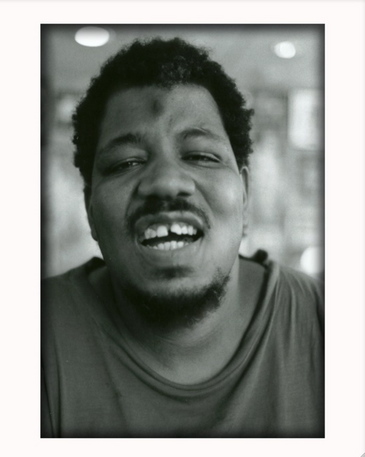 Another mental disorder takes center stage in the Slamdance documentary “Wesley Willis’ Joyride,” Chris Bagley and Kim Shively‘s portrait of the late punk-rapper, whose schizophrenic tendencies both dictated his creativity and worked against it. Willis, whose stream-of-consciousness lyrics and dazed mentality recall those of Daniel Johnston, had plenty of authentic skills to justify his cult status. (In addition to his music, he was a talented illustrator.) In the film, his gift for eccentric expression becomes immediately clear, and his untimely death (which could have used some elaboration in the feature) generates deep sorrow. A scene from Chris Bagley and Kim Shively’s “Wesley Willis’ Joyride.” Photo courtesy of the Slamdance Film Festival. Accompanying “Wesley Willis” in the impromptu category of music documentaries at Slamdance: “Song Sung Blue,” Greg Koh‘s poignant look at the lives of Lightning & Thunder, a married duo of singers in Milwaukee earning a living by playing Neil Diamond songs. Energetic performers both weird and entertaining, the couple (whose real names are Mike and Claire Sardina) encounters the hardships of the music business as their own familial connections begin to fray. Unlike “Capturing the Friedmans,” however, this insider perspective reveals a tale of conquest and self-satisfaction, rather than gradual dissolution. As for the Slamdance thrillers, two stand out. “Portage” tracks the wilderness experience of several young teenage girls on a summer camping trip gone awry. After losing their counselor in a late night accident, they’re left to fend for themselves as they seek civilization. Explaining the reason for the title would spoil a key plot point; needless to say, it refers to the misguided undertaking put forth by the hardened lead character, Steph (Alysha Aubin), whose passion elevates the viewing experience. Although “Portage” lists three directorial credits (Matthew Miller, Ezra Krybus and Sascha Drews), it suffers from poor quality video and somewhat limited camera movement. The greatest ambition of a filmmaker intending to create a thriller with tiny resources is visible in “Jetsam,” a nightmarish action movie that blends Kafkaesque atmosphere with the stylized flashback structure of ABC’s “Lost.” Simon Welsford‘s small cast production begins with a woman (Jamie Draven), devoid of memory, awaking on an anonymous beach. A mysterious man begins to chase her, while our heroine begins to recall the situation leading up to her stature as a castaway. It’s usually the case that a mystery this enticing has a less-than-satisfactory answer, and “Jetsam” loses momentum in the last half hour, when it falls into familiar rhythms of suspense–but getting to that point is an enjoyable ride. More recognizable indie fare at the festival finds hipster types suffering from the woes of burgeoning adulthood, with predictably mixed results. “Goodbye Baby,” Daniel Schecter‘s intermittently amusing story of an 18-year-old girl’s struggles as a wannabe stand-up comedienne in New York City, suffers from too much cuteness and not enough credibility. “Frost,” the inaugural film from C-Plus Productions, is a little better; it follows another lonely New York City type (Jason Behr), curiously named Jack Frost, as he transitions out of a party-driven existence and discovers a steadier life. His relationship problems feel somewhat contrived, but they play out better than your average mainstream rom-com tripe. The prize for the finest of the unhappy youth movies, however, goes to “The New Year Parade.” Talented director Tom Quinn (no relation to the Magnolia Pictures exec) makes a stunning debut with this sterling observation of a brother and sister pair straining under the pressures of their parents’ divorce. Quinn has a calculated, Altman-esque approach to staging conflict. Because it functions as a wise examination of universal human despair, “The New Year Parade” proves that keen observation of human behavior yields the strongest results–although budgetary requirements probably hold a close second place spot.